Ultra Street Fighter 4 for PS4 was touted as being the “Best Way to Play.” Unfortunately, before multiple patches, this wasn’t the case. Now that the game has been tweaked, patched and cleaned up, it is, in fact, the best way to play. Minus a few laggy online matches, everything with the PS4 version of Ultra Street Fighter 4 feels improved. At initial launch, moves were animating incorrectly, sounds weren’t coming through at the right moments and online matches were completely unplayable. After a few weeks of consistent patching these issues were resolved, and now we can definitely say this is the game to play. If you were waiting for an upgrade on day 1 to replace your older console version like myself, your initial impression of the game port will definitely be jaded. However, if you can look past that you will find that the corrected version of this port is equal and in some places superior to its counterparts. The smooth animations and faster load times double down the amount of fun to be had. With smoother animations close links (hitting correct buttons within a designated time frame). As inputs seem to be picked up faster (or you can see what’s happening more smoothly?) I cannot explain the technical reasoning, but it is a phenomenal improvement. The faster load times for matches mean you get more time playing actual matches vs. waiting for load screens to complete. While Ultra Street Fighter 4 is an incredible fighting game on its own, the PS4 features themselves actually add to the experience. The abillity to stream your game play to Twitch.tv with no additional hardware and the ability to save, edit and, upload your matches fluidly, which is something missing from other versions of the game. It is also an incredible value as you receive the entire expanded costume set as well as the full game for $24.99 (digitally). Another huge value proposition is Capcom’s inclusion of Lab Zero’s PS3 to PS4 controller drivers. These drivers allow your PS3 controller to function inside of Street Fighter without any hardware upgrades. For those of us playing on an arcade stick, which costs considerably more than a standard controller, this is a huge win, and a great concession from Capcom. If you’ve never played Street Fighter, I would heavily recommend this as a game to cut your teeth on. While the learning curve is quite steep, there is a great deal of fun to be had for players of any skill level. The challenges are diverse enough to keep you attached for an extended period of time, and the huge cast will give any style player something to get attracted to. Some of the many benefits of Ultra Street Fighter 4 are the cast, gorgeous level design, and the depth of the combat system. If you simply want to throw flashy special moves and win the occasional match in style, you are more than welcome to do so. However, if you want to get deeply technical and learn the nitty gritty of the game, you can head to training mode and work out combos, special moves, setups and more. Capcom is consistently accused of re-releasing old IP and avoiding the issue of creating new titles for their fan base. In the case of Ultra you can view this port as the same thing, with one mild twist. This port has given Capcom the position to continually support their competitive scene and keep their title current, while preparing themselves to develop for their PS4 exclusive fighters. 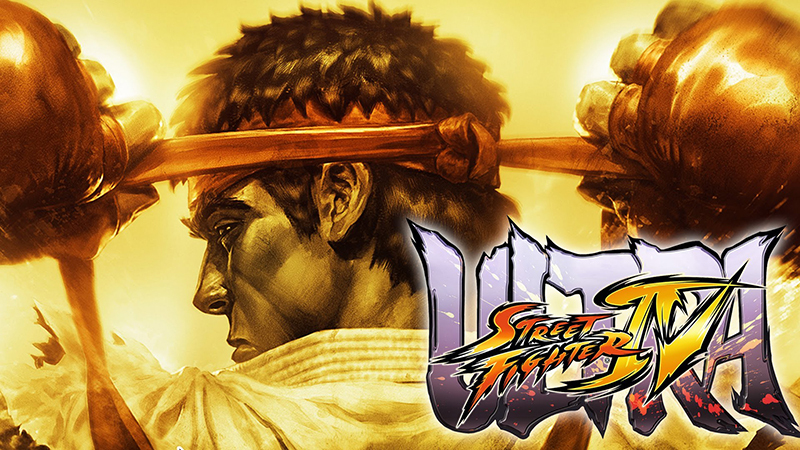 If you play fighting games and next-gen is your thing, missing Ultra Street Fighter 4 would be a tragedy.